My kids may be older, but I am fortunate to still have friends who are having babies that I can love on and create cute gifts for. 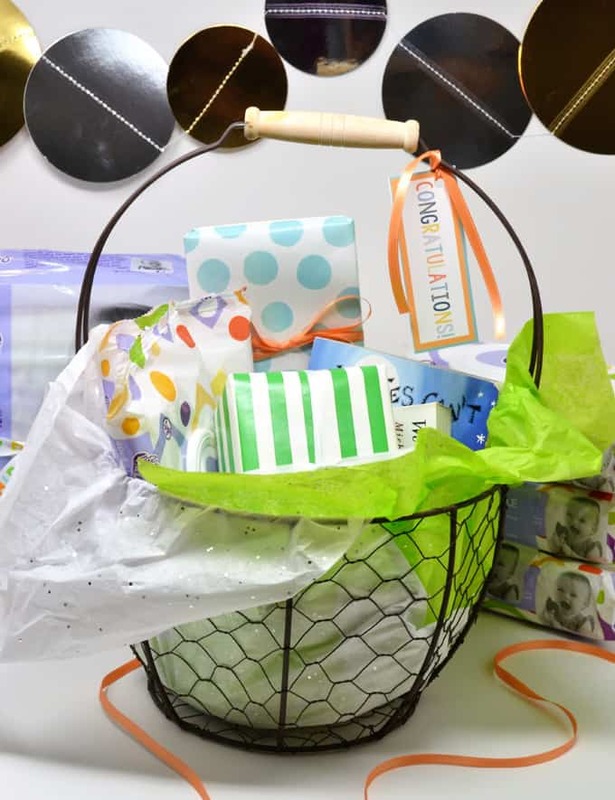 Lately, gift baskets have been my go-to gift idea, and when I learned that a good friend was having a baby, I decided to make her a gift basket using Always My Baby products from Food Lion! Always My Baby is a brand of trusted, high-quality baby products, found only at Food Lion. Always My Baby products meets all of your baby’s needs spanning across food, baby care and accessories. 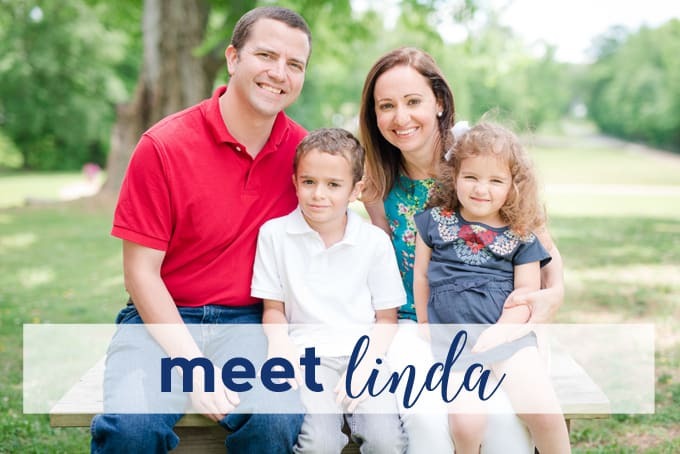 The products are all quality-tested, affordable (always priced lower than national brands), and, like all private brand items from Food Lion, have a double your money back guarantee! I visited my local Food Lion store the other day and stocked up on diapers and plenty of wipes for our baby gift basket. 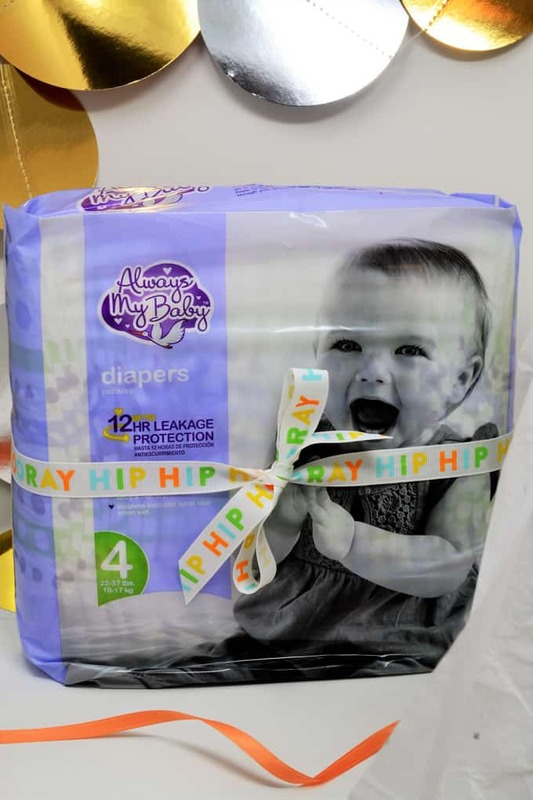 Diapers and wipes are always, always appreciated by new moms. As a general rule, I tend to avoid the smallest and newborn sizes of diapers when I give a gift; I’ve found that a lot of newborns skip right over this smallest size. Also, diaper gifts for newborns tend to be the smaller sizes; I like to stock the mama up for a few months down the road. One of my favorite parts of giving a gift basket for a gift is that the basket itself is often the best and most loved part of the gift. For a new baby, the basket can be reused for diapers, small toys, or board books! I like to line my baskets with either shredded paper or tissue paper for some added color. 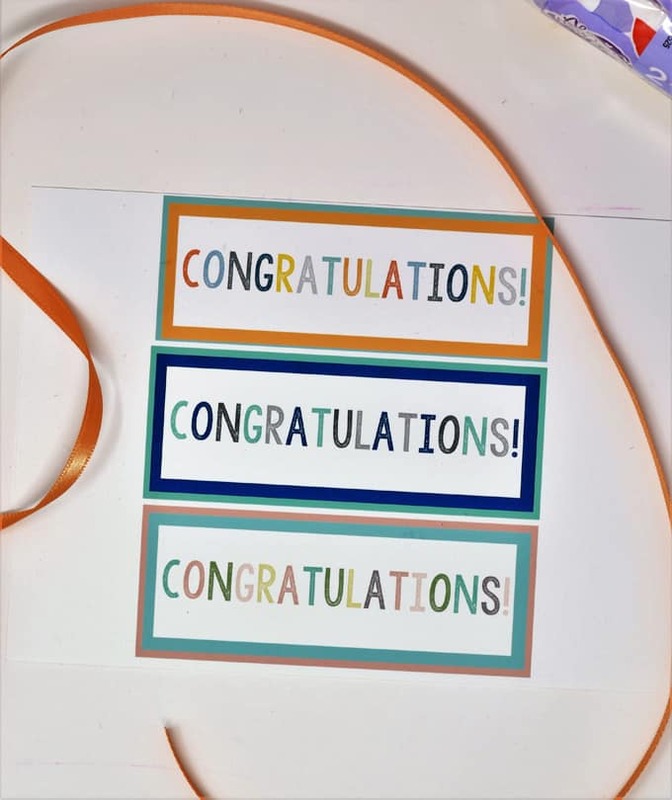 I created this “CONGRATULATIONS” gift tag free printable that you can print out and use for your own baby basket gifts! The printable prints best on 4×6 photo paper (you can print on 5×7 if you’d like larger tags). They’ll print three to a page; one is a blue/gray colorway, another is a pink/green colorway, and the third is a multicolored tag. I printed these at home, but you can always download the file and send to your favorite photo printer for (most likely) a higher quality. Cut out the one that you need, punch a hole threw it, and save the other two for your next gift basket! 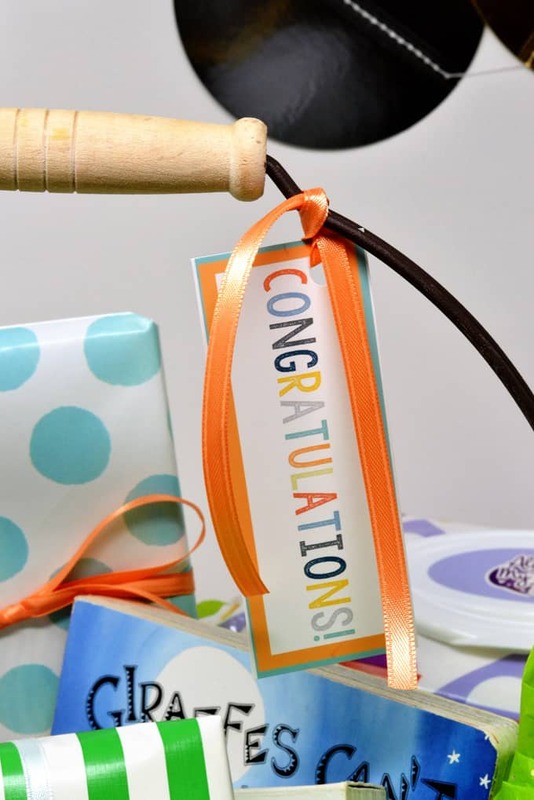 Thanks so much for reading all about our Make a DIY Gift Basket with Always My Baby Products from Food Lion. Have you tried out the new Always My Baby products? I’d love to hear what you’ve tried and what you thought of them. Just leave a comment!